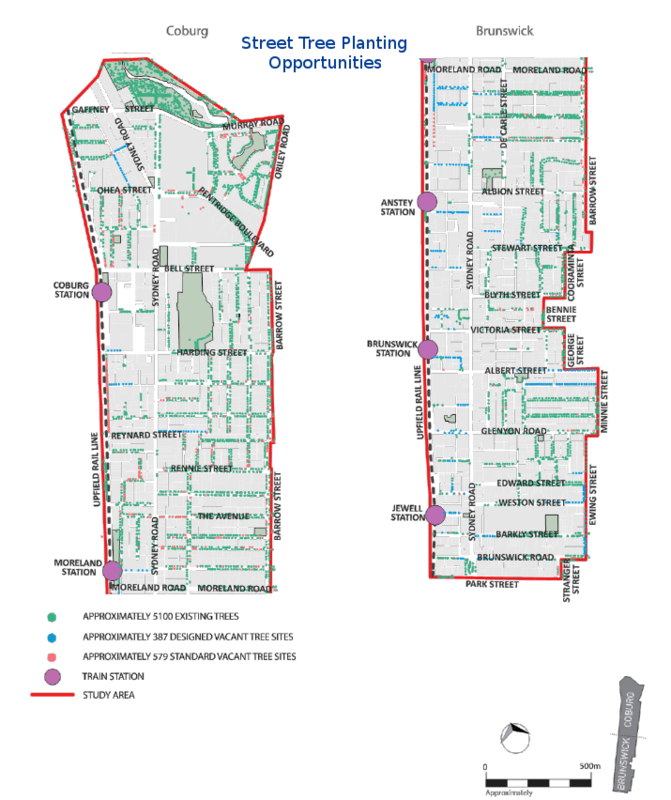 Moreland Council has adopted the Cooling the Upfield Corridor Action Plan 2018-2019. It is not nearly enough to cut emissions and have a zero community emissions by 2040 target, we also need to look at climate adaptation in our highly built up urban environment. This too is part of a climate emergency response framework. The urban heat island effect amplifies temperatures due to the urban built infrastructure and surfaces such as roads and carparks. Our Municipality is especially vulnerable to the urban heat island effect. In coming decades Melbourne is likely to experience 50 degrees days according to researchers at the ANU, even if we limit global temperatures to 2 degrees or the much more ambituous 1.5 degrees target. “Major Australian cities, such as Sydney and Melbourne, may experience unprecedented temperatures of 50 degrees Celsius under 2 degrees of global warming,” said Dr Lewis from the Fenner School of Environment and Society and the Centre of Excellence for Climate System Science at ANU. 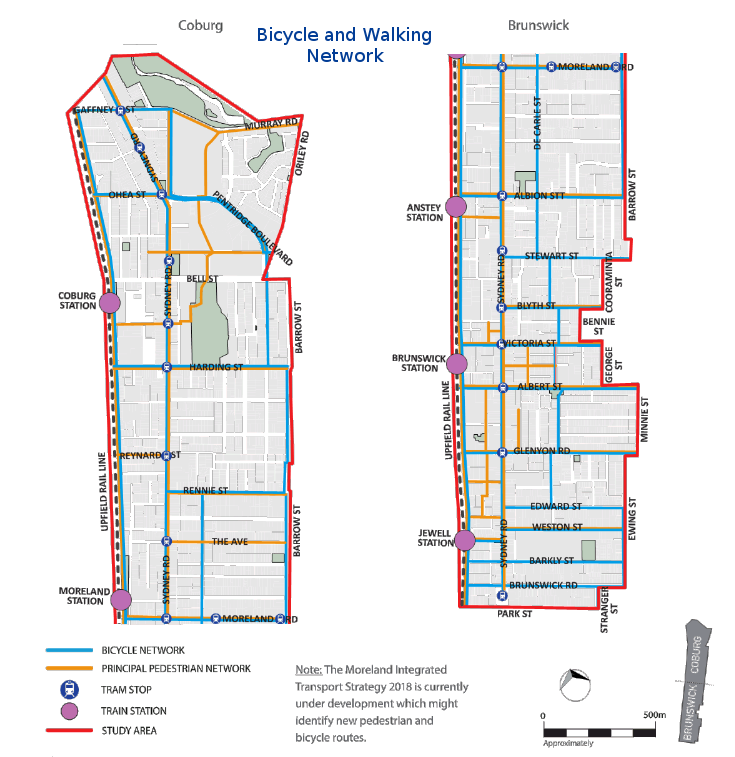 The Action Plan is focused on the area located between Park Street, Brunswick and Carr Street, Coburg and is approximately two blocks east of Sydney Road through to the Upfield railway line. 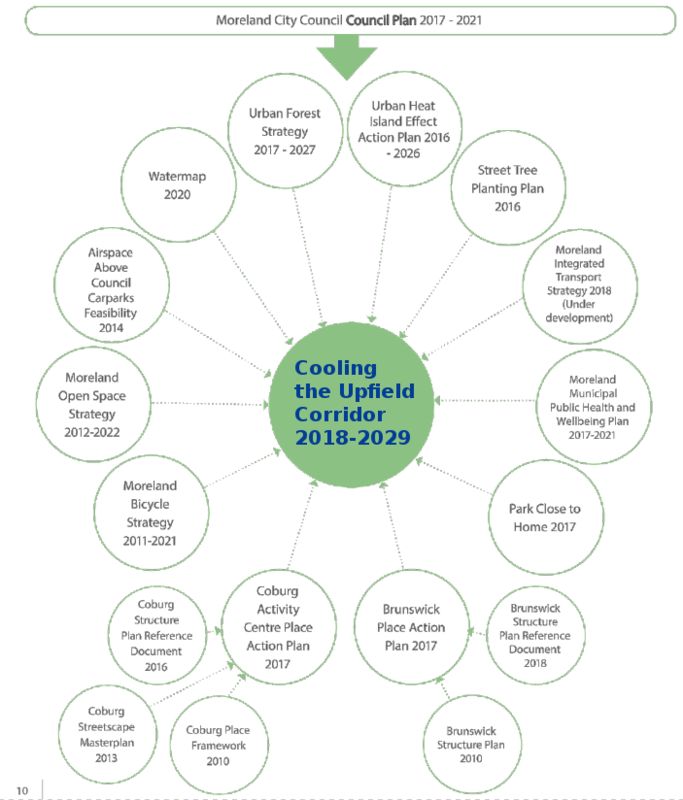 The implementation of the Cooling the Upfield Corridor action plan sets out 19 actions to be delivered as a staged program of projects over the next 11 years with associated resource/budget/delivery timeframes for each action. It should be noted that transforming the corridor into a greener and cooler space cannot be achieved by Council alone. It will require investment and commitment from residents, businesses, Government and authorities such as VicRoads. Projects such as the Level Crossing Removal project of the Upfield rail line need to take into account urban heat island effect mitigation as an inherent part of the design. That was an important part of our submission to the Level Crossing Removal Authority. Ten of the actions by Council are currently resourced and within Council’s Strategic Resource Plan. A further nine additional actions require external grant funding or partnerships top proceed. While tree planting and introduction of water sensitive urban design features such as rain gardens are being highlighted, Sydney Road is itself highly problematic to green and add tree canopy with significant underground and aerial infrastructure being an impediment. Theme 1: Streets for People – interventions that re-allocate space within existing streetscapes to create new landscaped areas. Theme 2: Influencing outcomes in the private realm – building collaborative relationships to increase greening opportunities within the private realm. Theme 3: Utilising Council owned car parks – harnessing opportunities to add landscaping to Council owned land. Theme 4: Planting in side streets – increase tree canopy cover within the side streets off Sydney Road. Theme 5: Sydney Road – increase planting opportunities within the Sydney Road streetscape. Road closure pilot in collaboration with Department of Education. Creation of a new open space within the road reserve of Florence Street, Brunswick. Opportunistic landscape planting in collaboration with private land owners along or near Sydney Road. Streetscape improvements to Wilson Avenue, Florence Street and Wilkinson Street. Advocate for outcomes which reduce UHIE as part of LXRA future works. Water play and misting opportunities. We note that Moreland Council still does not have a Drinking Fountain strategy as per a motion of Council from 2014. While we note Council staff are doing development work in this area, there is no strategic document approved by Council being used to inform this work across the municipality. At Council meeting there was an amendment debated to drop the reference to Water play and misting opportunities. The amendment was lost. While Councillor Irfanli’s views in limiting water use should be noted, misting opportunities should still be investigated for heat health safety reasons for use on those extreme heat days during Summer months. Misting opportunities are of particular importance for pedestrian and cyclist comfort for extreme heat days. Overall, Climate Action Moreland commends the work of Council staff and Moreland Council on the adoption of this plan. It is part of the essential climate adaptation work that we need to do as a community as temperatures rise and as we experience more extreme heat days. This is a matter of community safety. Entry filed under: Moreland Council, news, Policy, urban forest. 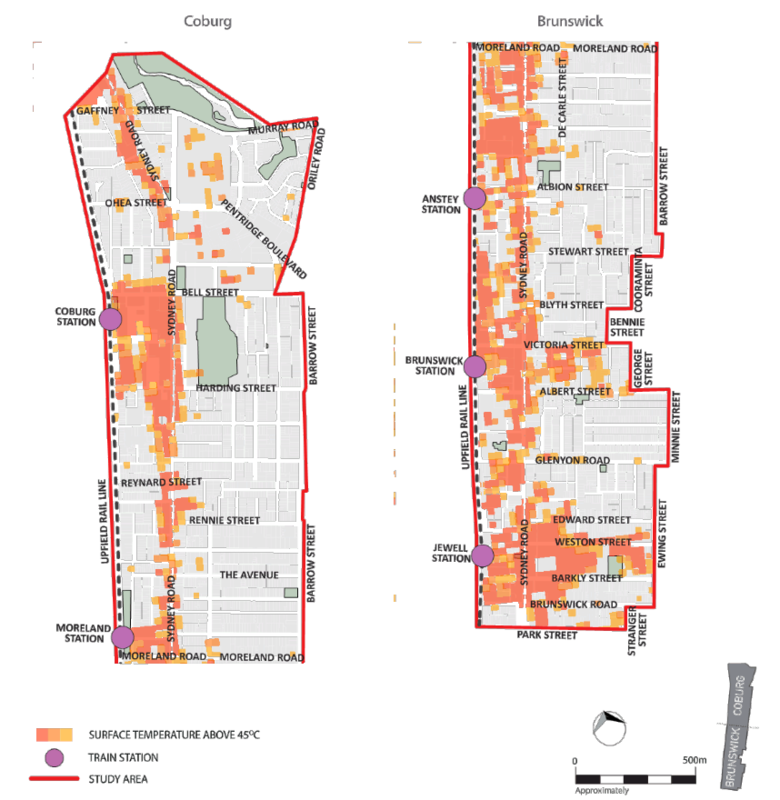 Tags: climate adaptation, Moreland Council, UHIE, Urban heat island.